From children to adults, the Hudson community has a wide array of clubs, churches and organizations for residents to participate in. Many of these organizations have a long established history in the village and play a significant role in supporting our local community. We encourage you to contact and discover the unique opportunities each group has to offer. Troop 957 meets weekly and goes on one camp out per month including a week long summer camp. All of our scouts strive for advancement and a high number of our troop's scouts become Eagle scouts. Troop 957 is chartered by the Hudson Lions Club and is active in service projects in and around the Hudson area. 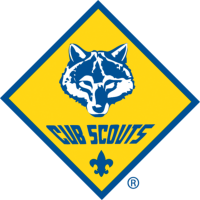 Since 1967, Cub Scout Pack 57 has helped hundreds of young men by instilling in them the values of the Cub Scout program - Citizenship, Compassion, Cooperation, Courage, Faith, Health and Fitness, Honesty, Perseverance, Positive Attitude, Resourcefulness, Respect, and Responsibility. Hudson United Methodist Church is actively sharing their faith through mission to the local community, region, and world. This church provides opportunities to grow in faith, build community, praise God, serve others, and connect in the community and schools. 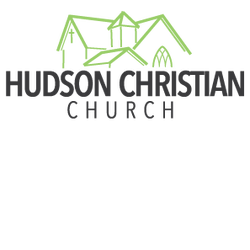 Hudson Christian Church is a nondenominational, Bible teaching church with opportunities for everyone- babies, children, teens, and adults. We value exegetical preaching directly from the Bible rather than the opinions of people, and serving others through our monthly food pantry, morning coffee club, and support of organizations in our area and across the globe. We are a loving, supportive community. Welcome. Whenever a Lions club gets together, problems get smaller. And communities get better. That's because we help where help is needed – in our own communities and around the world – with unmatched integrity and energy. For over 50 years the local Hudson Lions club has served Hudson residents by being a leader in organizing and supporting local programs for the benefit of residents. From kids baseball to the annual 5K walk/run the Hudson Lions Club brings the community together in a way that no other group does.